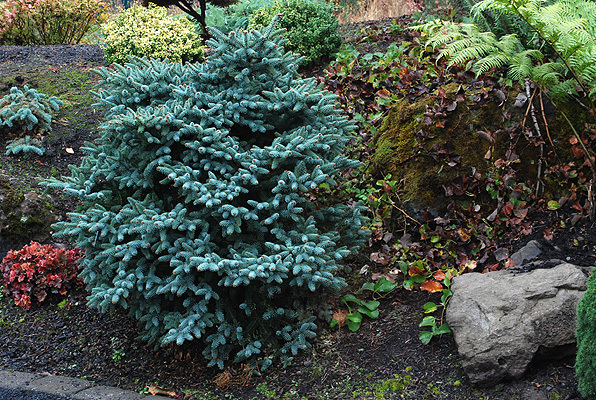 Conifer, evergreen, compact, broad dwarf, 2 ft tall x 3 ft wide in 10 years, silvery blue-green needles. Full sun and well-drained soil. 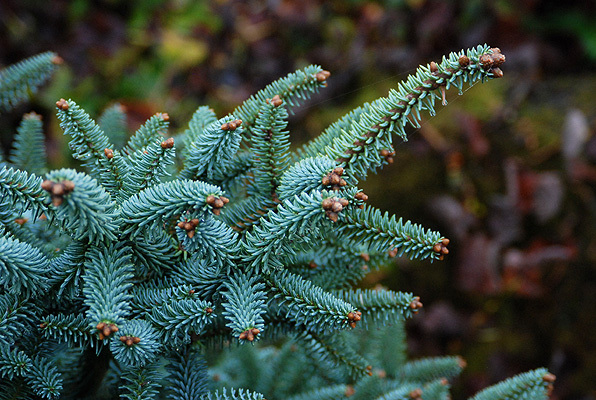 Silverton, Oregon: The Oregon Garden - Conifer Garden.